Black Friday is this Friday the 25th of November 2016, a time when the nation goes mad to find that last minute deal ready for Christmas. Here at Easirent Car and van hire in Blackburn we are offering 10% discount to all our customers on the 25th November. 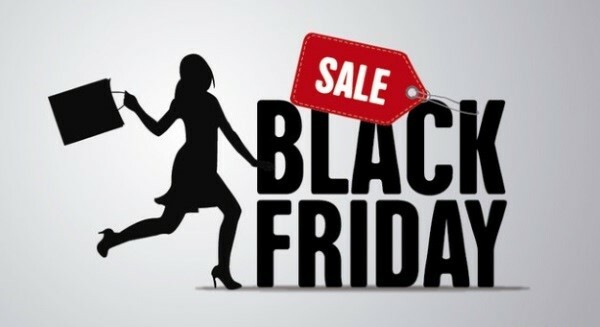 Come in branch and quote #BlackFriday and you can save on your vehicle hire. Maybe you need a van for all those bargains when your car’s boot space is just not big enough or maybe you need one of our Luton Box vans with a tail lift because you are moving house. At Easirent Car and Van Hire no matter the size of vehicle you are after we have a vehicle for you. Our fleet ranges from a Fiat 500 up to a 7.5ton wagon with a tail lift. We also have unique vehicles such as a caged tipper, welfare vehicles and mess vans. If you are wanting to be prepared for the winter and need a vehicle with four wheel drive then look no further than Easirent Car and Van Hire in Blackbunr. So why not call Joe or Mark at Easirent Car and Van Hire in Blackburn on 01254 495999 to book yourself a vehicle in time for the Christmas period. We are open Monday to Friday 08:00 till 18:00 and are even open the weekend – Saturday 08:00 – 14:00 and Sunday 09:00 – 12:00. You can even book a vehicle via our Easirent website.